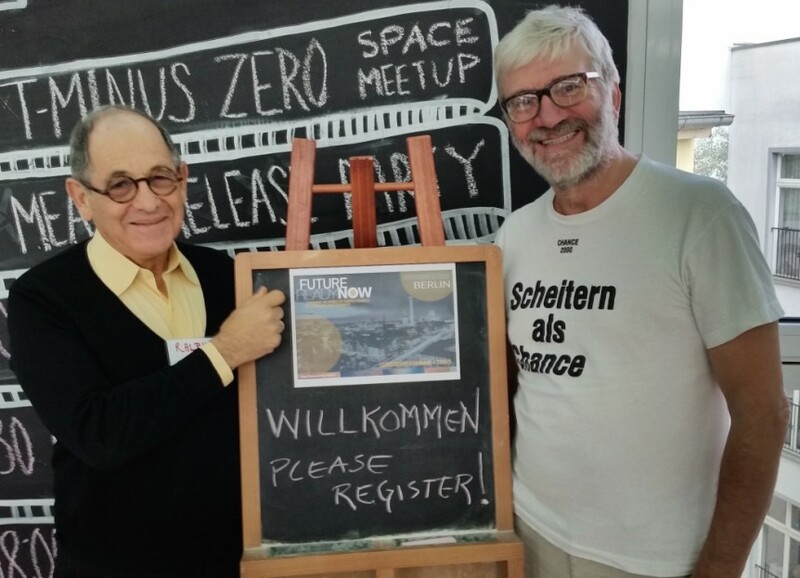 l. to r. Ralph Simon, Mobilium Global CEO & Dr Heiner Benking of the Berlin-based Institute for Sustainability in Education, Work & Culture: saying “Wilkommen” to attendees at the special gathering & workshop held in Berlin this week for companies & NGOs to be ‘Future Ready Now’ & how to deploy mobile devices & media to enhance their global businesses. Dr Benking’s T-shirt says: “Failure is an opportunity”. We’re Future Ready !